This beautiful garden, full of art is one of our finest works. Creatively designed by our best and suited for all. Featuring Stargazer Lilies, Easter Lilies and Calla Lilies in a very tall glass vase. 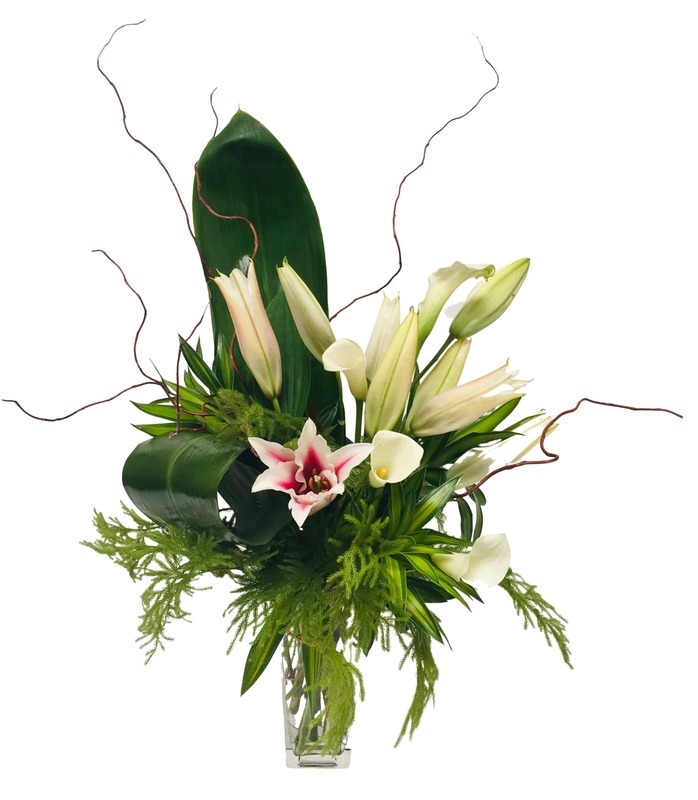 Striking beauty is easily seen in this gorgeous arrangement of lilies! Anyone looking to add high style to their home decor or looking to impress a friend, need look no further! This display of flowers is sure to catch the eye and drop the jaw with its elegant beauty!